Join CSA at one or all of our excellent concerts and exhibitions, highlighting students achievements during our summer camps. 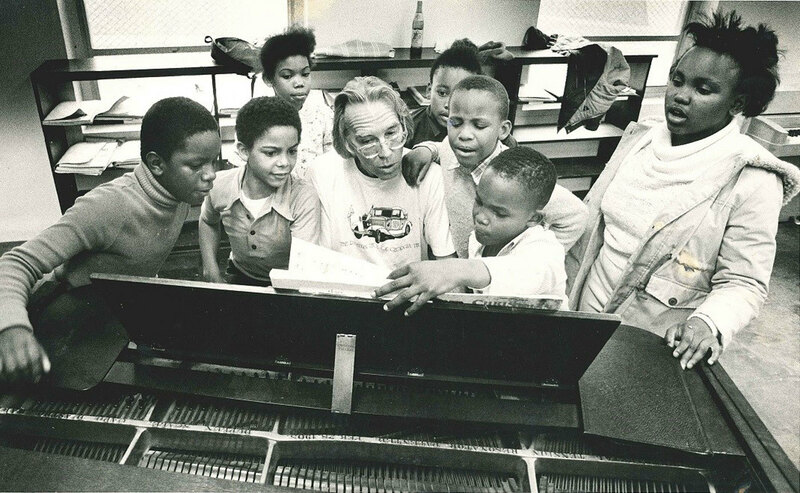 Remembering our founder, Henry Bridges, Jr.
Get ready for a celebration of the arts this spring! Due to the winter weather, CSA's administrative office is closed on Wednesday, January 17th. Community School of the Arts (CSA) will hold its third annual Gingerbread Competition from Saturday, December 9 to Sunday, December 17. This is Project Harmony – an outreach program in the Montclaire neighborhood, which sees social transformation through music as a way to foster future generations of leaders, artists, creators and thinkers. On Wednesday, October 25, 2017, Community School of the Arts will be co-hosting an On The Table discussion with Common Market Oakwold. Before you head to the polls this November, be sure to learn about local candidates' positions on the role of arts and culture in the Charlotte-Mecklenburg community. Join CSA at our 2017 Camp Concerts and Art Shows! Each of our 2017 summer camps and workshops ends with either a camp concert or art show, and we hope you will join us for one or more!